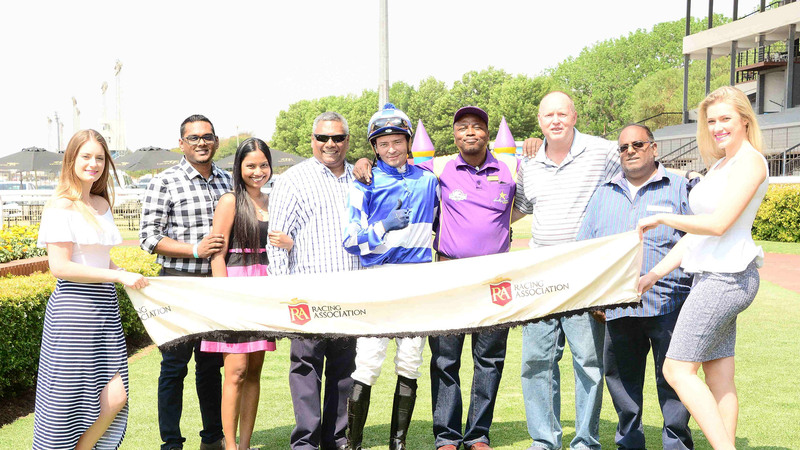 Whether you want to own 100 percent of a horse to race in your own colours, or only a small share, there are various options to suit your lifestyle. Whichever one you choose, the thrill is the same, especially when experienced from the winners circle. Owning a horse outright means you get to make all the decisions yourself and in consultation with your trainer; from picking a name, choosing your silks and then liaising with the trainer on where and when the horse will run. 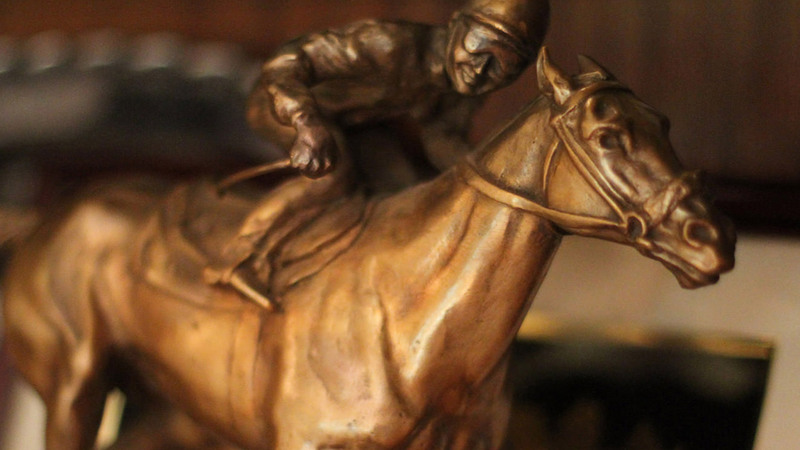 You receive all the prizemoney and enjoy any upside in residual value if the horse becomes a champion, but you will also be liable for all costs yourself. Enjoy all the excitement of sole ownership while also sharing the costs. Each partner must be a colour holder in their own right and one set of colours is chosen to represent that partnership. This is a great way to get involved, with a group of like-minded friends, each having their names in the race card. This can be a cost effective way and easy of enjoying ownership while someone else manages the process on your behalf. Syndicators will usually sell different percentages of shares in their horses, so that you can choose your level of involvement. Shared ownership allows you to split the costs but share the rewards and the fun. Some shares will include all costs involved, so you know exactly how much your ongoing liabilities will be. You can also register colours in your company name. The race card will show the company name as the owner of the horse. LEASING: Sometimes horses are available to lease from the breeders, on an individually agreed basis, for the duration of the horse’s race career. Selecting your trainer is one of the most important decisions you will make as an owner, as it demands understanding and transparent communication, as well as trust. 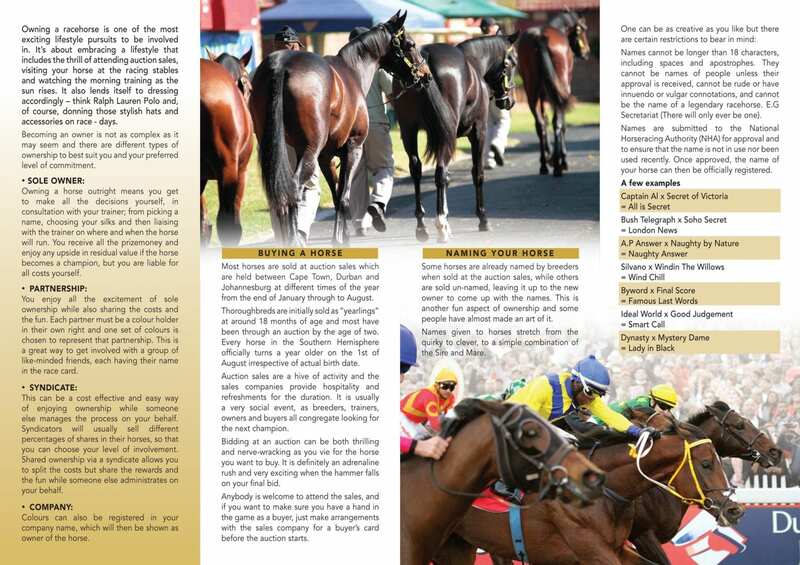 Obviously your trainer will manage the day to day training of the horse and will keep you up to date on the progress and race nominations/entries of each individual. They should also be there for advice on new purchases at auction sales and helping to source the right horse for you to get involved in. 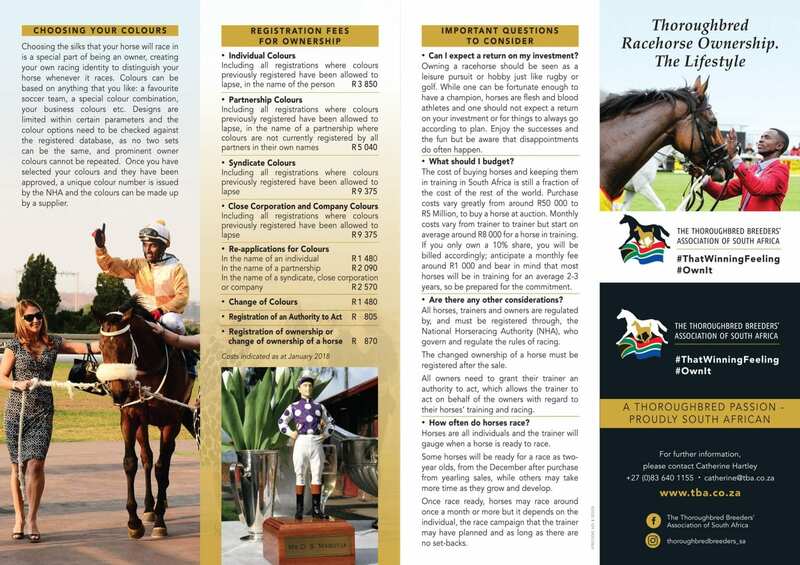 Training costs vary from region to region and between trainers but start on average around R8000 per month and upwards per horse.